It's her time to shine wearing the fun, fashionable classic look of the SKECHERS Omne - Shimmer Street shoe. 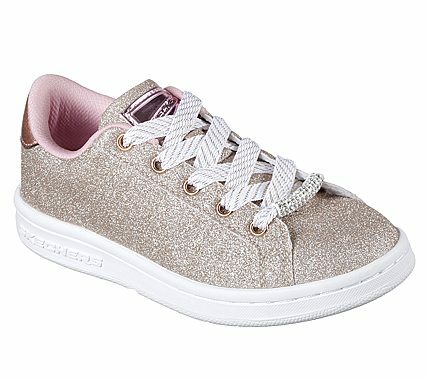 Smooth glitter finish synthetic upper in a lace up classic sporty tennis-style sneaker with glitter overlays. Air Cooled Memory Foam insole.